In this Nov. 17, 2004 file photo, Kmart chairman Edward Lampert listens during a news conference to announce the merger of Kmart and Sears in New York. Sears' advisors are testing just how much Chairman Eddie Lampert wants to keep the retailer alive. 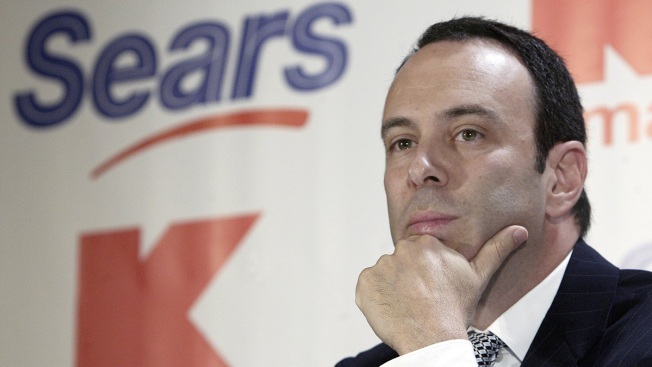 Lampert has put forward a $4.4 billion bid to save Sears and 50,000 jobs by buying it out of bankruptcy through his hedge fund ESL Investments. His offer, though, which is largely funded with outside sources of capital, is facing tough scrutiny from Sears advisors, people familiar with the situation tell CNBC. If the two are unable to find a resolution, it could force Sears to liquidate. The 125-year-old retailer, which also owns Kmart, filed for bankruptcy in October. At the time, it employed 68,000 workers. Sears advisors' have until 4:00 p.m. ET on Friday to decide whether ESL's bid is viable. The company and ESL met earlier this week to discuss its bid, without agreeing to a compromise. The offer has raised a number of flags, the people said. It is short of covering the fees and vendor payment it owes, making it "administratively insolvent." A continuing issue is the $1.8 billion that Lampert put toward his offer by forgiving debt owed to ESL through a so-called credit bid. The restructuring committee advising Sears is not confident the bankruptcy judge will allow Lampert to use a credit bid without addressing a pending investigation about Sears transactions under Lampert's ownership, the people said. Sears' unsecured creditors have said there may be claims against Sears for those deals, which include Sears' spinoff of Lands' End and transactions with Seritage Growth Properties, a real estate investment trust Lampert created through some Sears' properties. ESL has stressed that all transactions it did with Sears during Lampert's tenure were approved by Sears' board. As with all bankruptcy negotiations, it remains possible either side will make concessions to end the disagreement. The two parties, therefore, could come to a resolution to divert liquidation. Lampert has in his corner several powerful bargaining cards. His offer is the singular guarantee of the employment of roughly 50,000 jobs and preservation an American icon. Keeping Sears alive may be the only way to ensure its other businesses, like Sears Home Services, can continue on as well. ESL has argued that its offer, therefore, can provide Sears' creditors with the most value. ESL has pushed for Sears to keep its bid in the ring until at least Jan. 14, when it could compare it against other offers for its various businesses, one of the people said. Sears is meeting with the bankruptcy judge Friday to discuss its decision, another person said. But if Sears demands more cash from ESL, it will likely face opposition from Lampert. Lampert had, over the course of several years, poured billions of dollars into Sears through ESL. He was driven by a belief in his ability to turn the company around, according to people familiar with his thinking. Lampert believed he could save Sears — which hasn't turned a profit since 2010 — by converting shoppers from its loyalty program, Shop Your Way. But even Sears' biggest supporter has his limit. As the number of assets to back ESL's loans dwindled, so did Lampert's appetite to invest his own money in the company. Sears was forced to file for bankruptcy in October when it met a $134 million payment it could not pay. In a break from past tradition, Lampert didn't swoop in through ESL that time to help Sears with the funds. Watching Sears fall apart has been painful for Lampert, according to people familiar with his thinking. They say pride and a desire to save jobs have driven his push to resurrect it. Sears is also holding a meeting on Friday for the liquidators who would carry out the process of breaking the company apart, should it go that route, the people said. Should Sears pivot to liquidation, the process would likely be swift. Sears will look to immediately shed the products currently lining its shelves. In February, it would begin selling its assets like real estate and Sears Home services. In Sears' conversations with liquidators, it has focused a process that would give the company a cut of what liquidators sell, rather than a fixed payment, one of the people said. Such a payment structure carries more risk, but could also provide more upside to Sears, implying the company may be worried about having sufficient funds to cover its expenses. It could not be immediately determined the scope of the administrative fees Sears expects it will owe. Sears' bankruptcy lawyers, Weil, Gotshal & Manges, plan to charge Sears their customary hourly rates of $1,075 to $1,600 for work done by its partners and counsel, according to documents filed with the bankruptcy court. In December, the U.S. Trustee's office, a bankruptcy watchdog, objected to Sears' hiring of intellectual property law firm McAndrews, Held & Malloy. It said the structure of its payment gave McAndrews an unfair protection to shield it, should the company not have enough cash to pay its administrative claims. ESL and Sears both declined to comment.